~ Paint it for you at NO extra Cost! 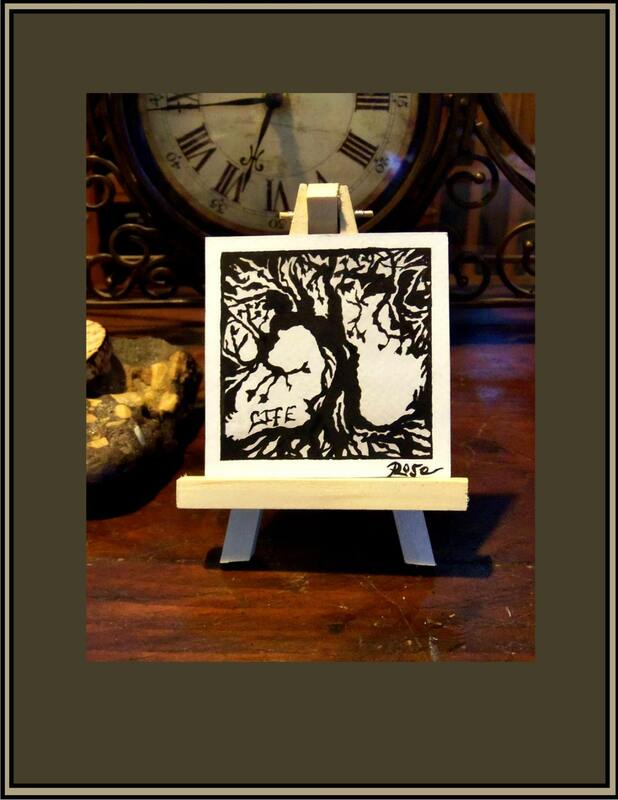 ~ as Finely Detailed as a Full size Painting. 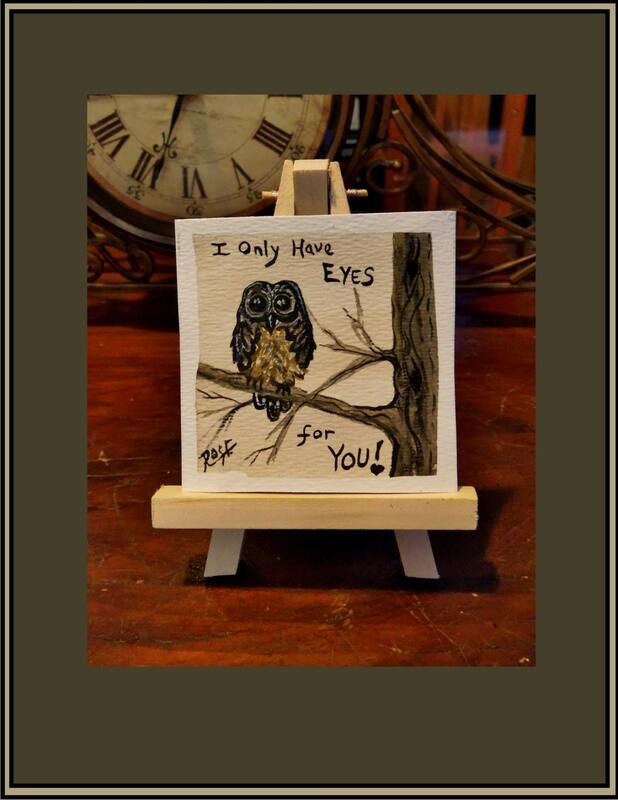 "Miniature" Water Color Paintings are Original Works of ART, Signed !!! 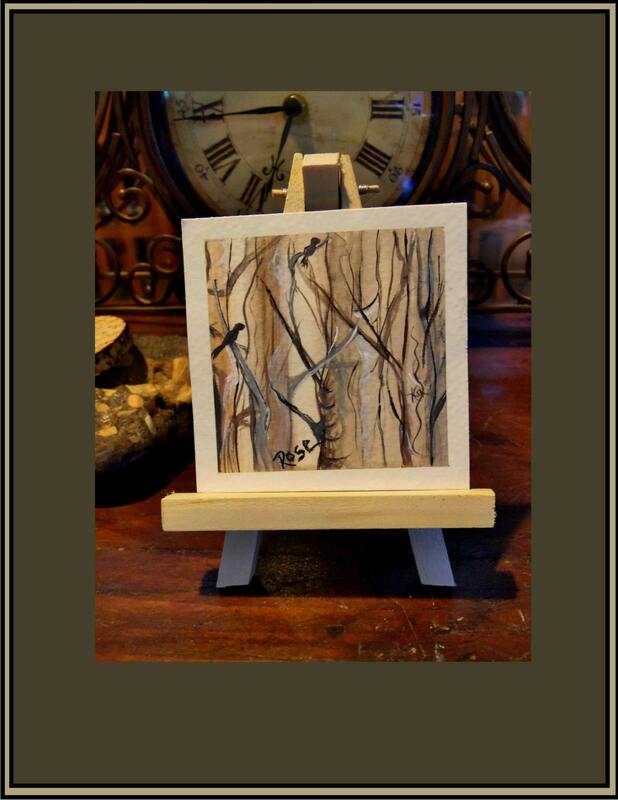 handmade miniature Easel that stands approx 5" high"
A Great gift for some ones desk, dresser, home décor, etc. 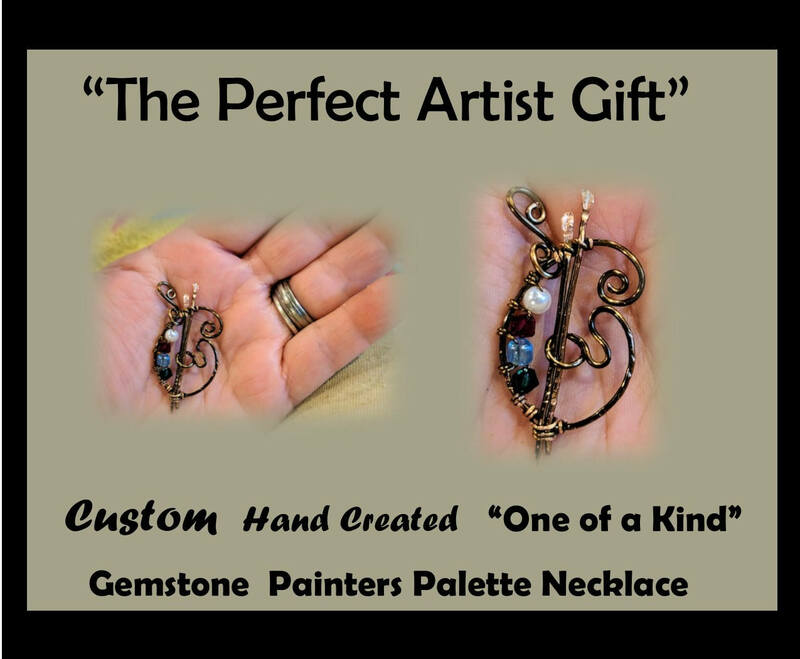 For the Art Lover in All of us! as an unusual and thoughtful gift! 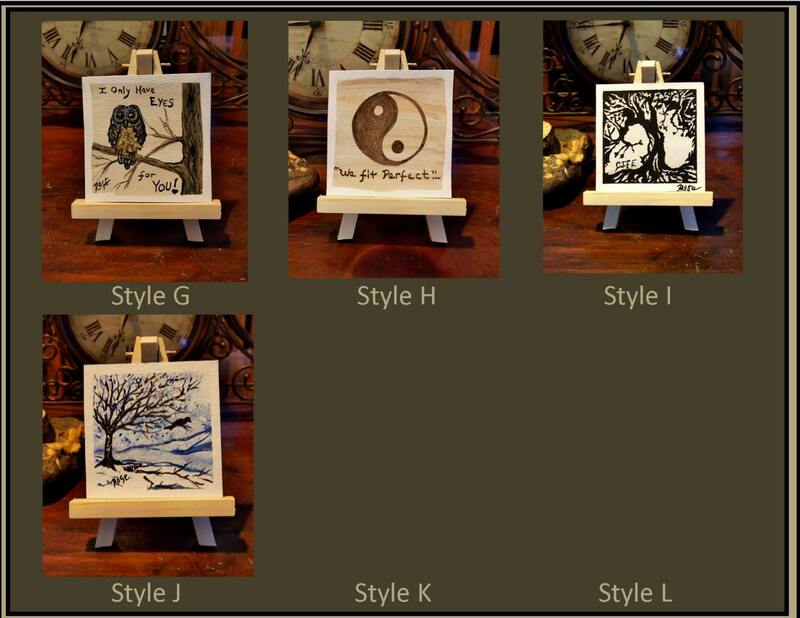 information about what you would like, you can even send a photo of your idea!! 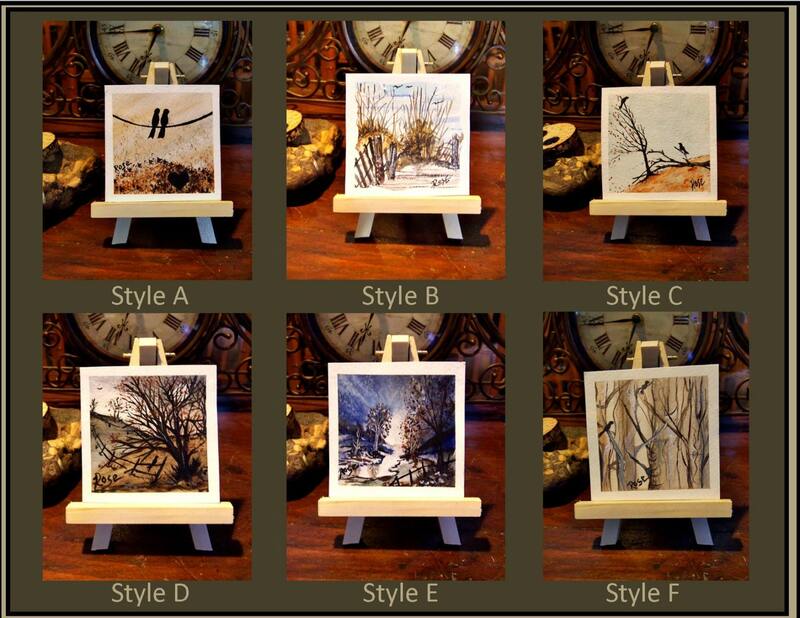 Choose one of the subjects in the first photo above, you will receive your Artwork in approx. larger sized also available upon request!